- In 2012 hit .245 (54-for-220) with 4 home runs, 28 RBI and 12 stolen bases as a junior after hitting .299 (141-for-472) in his first two seasons combined at North Carolina. - Made the move to shortstop for the 2012 season after playing his freshman and sophomore seasons at second base. - Named All-ACC Second Team as a sophomore and freshman. - In 2011, appeared in 29 games with the Bourne Braves of the Cape Cod League and was named to the Cape Cod All-League Team. - Was a 2009 preseason Louisville All-American selection during his senior year at Germantown (Pa.) Academy and graduated as the school’s all-time hits leader. - Has a younger brother, Sean, who was drafted in the third round of the 2010 June Draft by the Boston Red Sox and is currently playing in their farm system. - His father, Tom, played baseball at the University of Pennsylvania. - Majored in exercise and sport science at North Carolina. - Named to the All-Pac-12 Honorable Mention team for the second straight year as a senior, finishing third in the Pac-12 with 19 doubles while batting .286 (64-for-224) with 7 home runs and 36 RBI in 60 games. - Named Honorable Mention All-Pac 10 in his first season at Oregon State after batting .280 (47-for-168) with 4 HR and 26 RBI as a junior in 2011. - Became the second player in Beavers history to hit for the cycle, going 4-for-4 with 4 RBI against Portland on May 10, 2011. 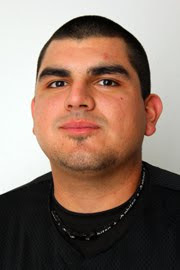 - Played for Orange Coast College from 2008-09…hit .321 as a freshman. - Enjoys surfing, snowboarding, basketball and golf. - Named first team All-Conference USA as a senior, and owned a 7-6 record with a 2.12 ERA and 68 SO in 16 starts. - Ranked among league leaders in innings pitched (1st, 106.1), ERA (2nd), strikeouts (2nd, 68) and wins (2nd, 7), and led the conference in pickoffs (9) for the second time in three years. - In 2011, earned Second Team All-Conference USA honors after going 7-3 with a 2.26 ERA. - In his first three years at ECU, combined to go 19-12 with a 3.61 ERA (249.1-IP, 100-ER) and 204 SO. - Played for the Bourne Braves of the Cape Cod League in 2011…played for the Hyannis Mets/Harbor Hawks in 2009-10. - In 2009 named a Freshman All-American by Louisville Slugger and named to the Conference USA All-Freshman Team and NCAA Greenville Regional All Tournament. - Also played basketball at Fuquay Carina (N.C.) HS…named 4AA Player of the Year as a senior by the N.C. Baseball Coaches Association in 2008. - In 2011, named NAIA Baseball Player of the Year after leading all of college baseball with 27 home runs and batting .388 with a .826 slugging pct. in his second season at Oklahoma City University. - Played in 2009-10 for Compton College (JC) and combined to hit 9 home runs with 78 RBI. - Nicknamed “El Gato Grande” (the big cat). - Played his only season for Cal State-Sacramento in 2012 after transferring Oral Roberts University, where he played for one year…redshirted the 2011 season after transferring from Oral Roberts…played his freshman and sophomore seasons at Sacramento City College. - Posted a 3.90 ERA (30-IP, 13-ER) with 8 saves in 26 apps as a senior for Cal State-Sacramento in 2012. - Graduated in 2007 from Florin (Calif.) HS where he holds the all-time strikeout record…also lettered in football, earning team defensive player of the year honors.